I was ahead of plan headed east starting from Winslow. 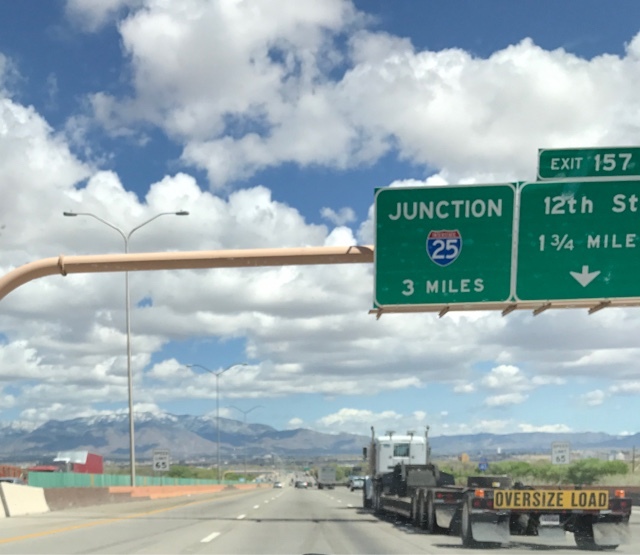 I was originally going to stop in Albuquerque, but with bountiful daylight, and the storm front way ahead of me in Oklahoma, I decided to keep on heading east. I ended up in Amarillo, TX for the night. 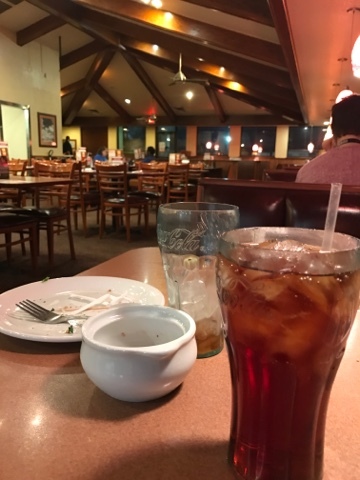 Having driven well into darkness before stopping, I decided to get dinner at Denny's. This is the first time I have been asked when being seated if I wanted smoking or non-smoking. I could smell the cigarettes as I walked in. I was tired and lived with it. I was also happy to leave when done as no matter where you are in the restaurant you could smell cigarette smoke. 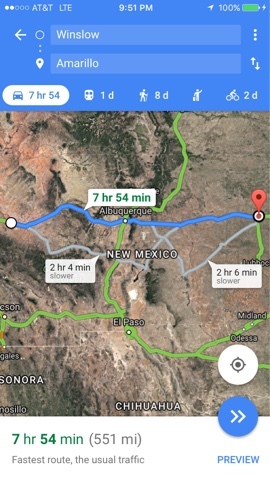 With 550 miles and 8 hours of driving behind me, my travels to Oklahoma City will be a short day and will give me more time to work with a future vandweller plan out their vehicle for future travels.